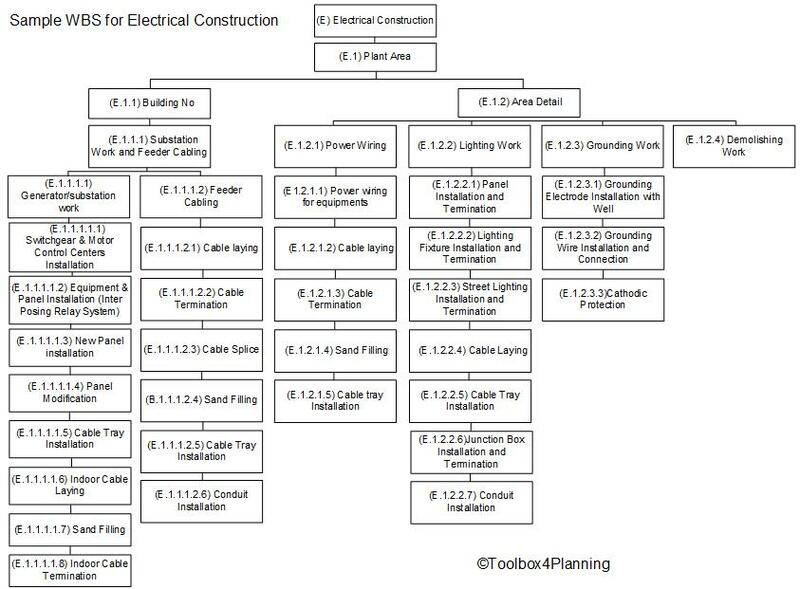 The WBS (work breakdown structure) for electrical construction work for a petrochemical project is broken down as below. It can be adopted and modified to suit your project scope and requirements. The above WBS for electrical construction work can be represented as a hierarchical structure as shown in figure below. Great post. Keep this good work of educating the planners. How to route cables and wires under the floor are used extensively for data center computer room applications and requirements come in many forms, such as: twisted pair, shielded, double shielded, coaxial, dual coaxial, liquid tight and other types. These cables are used for both communication (data and voice), and power distribution.